A customer brought in this floor lamp the other day with a broken swivel. Lamp swivels are designed to move the angle of the socket or lamp arm to cast the light in a different direction. For one reason or another, this swivel failed. In addition to the lamp swivel, this customer also wanted to change the socket to a heavy turned brass premium socket and 12 foot brown SPT-2 lamp cord. With all the lamp parts in hand, we are ready to start the repair. First, we need to disassemble the lamp. We start by opening the old socket. The socket shell (large part) is clipped into the socket cap (small part). With a flat head screwdriver, pry the cap from the shell. The shell slides off the socket interior. Next, we remove the socket interior. Now we can remove the socket cap, stamped leaf, and old swivel from the lamp body. Some socket caps have set screws and some may have glue to hold them on the threaded rod. The ease of removal can vary from lamp to lamp. The rest of the old swivel body comes off the lamp. If the customer were wanting to keep the old lamp cord and reuse it (to reuse a lamp cord: inspect the cord for any damage, cracks, or pinched wires, also make sure the plug is polarized) we would be ready to place the new swivel on the lamp body and attach the socket. Since they have elected to change the cord we need to push and pull the old cord back to the base of the lamp. The new lamp cord goes in the same way the old one came out. Starting at the base and working up the tube and then across the bridge arm. Now we are ready to attach the new swivel to the bridge arm of the lamp. Our replacement swivel is bright brass and the fixture is an antique or dark brass. To darken the swivel, we used some JAX metal darkener. It only takes a little to turn this brass piece to an antique finish. The newly darkened swivel is pushed over the cord and screws on the threaded rod of the lamp. 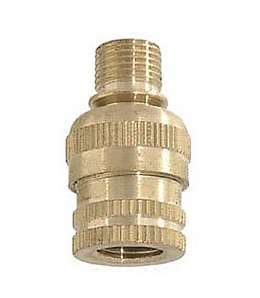 The new turned brass socket has a screw type connection with a collar. It does not snap together. Always remember the collar goes on the lamp with the cap. The stamped leaf and socket cap are placed on the lamp. A UL knot is tied in the lamp cord and the socket interior is attached to the cord. The smooth cord wire connects to the brass screw and the ribbed cord wire connects to the nickel plated screw. The new socket shell slides over the socket interior. As the shell is pushed toward the socket cap, cord slack gets pulled back up the lamp arm. The socket collar is tightened on the socket shell. We add a bulb and test the lamp. Stay In Touch! Sign Up For Our Newsletter. You will get news, coupon codes, and email! © 2017 AntiqueLampSupply.com. Simple theme. Powered by Blogger.